This gorgeous sectional center chair is a slim and svelte modular addition for the Brooklyn Sectional Collection. 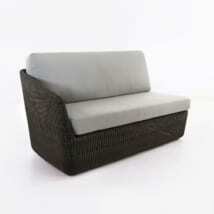 It can also be utilized as a standalone chair without arms for a modern look and feel. 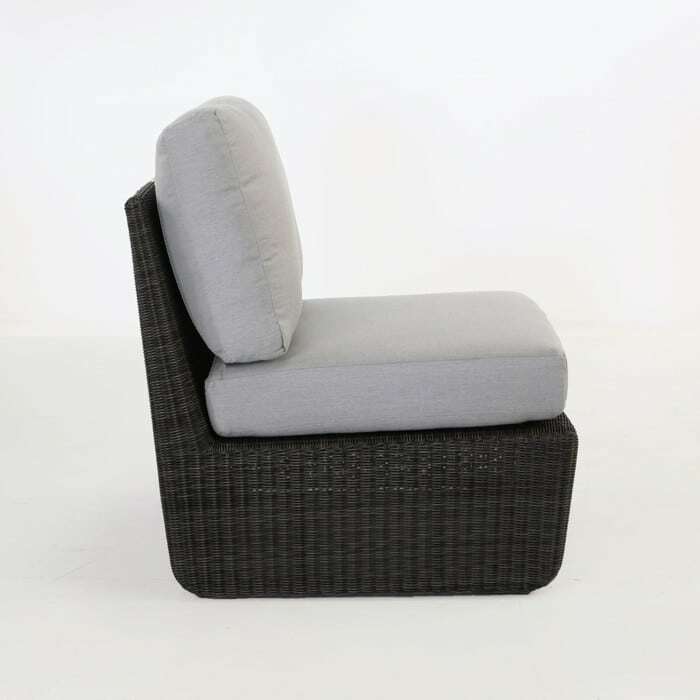 The slim, but muscular stance of this chair makes it an instant classic; giving the perfect modern feel to any outdoor space. 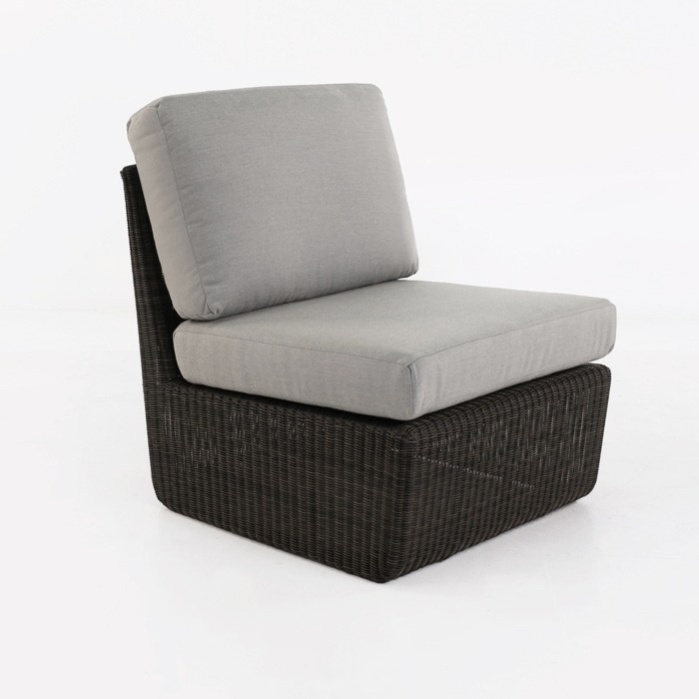 The small footprint, offers a single seat extension for a modular sectional, or a simple, comfortable single seat for a guest as a standalone. 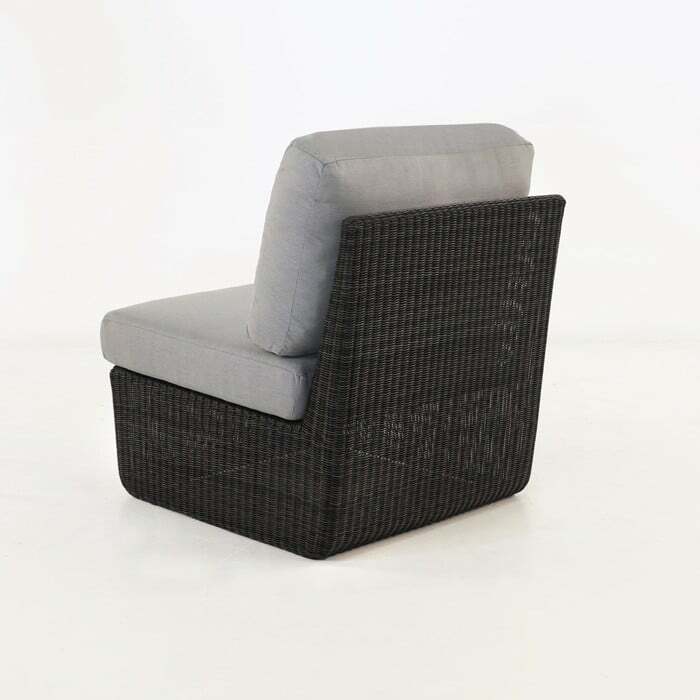 This synthetic outdoor wicker center chair is made from a high-quality synthetic wicker over a lightweight powder-coated aluminum frame. 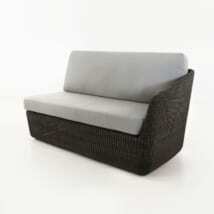 This sectional center piece is available in two colors. Shown, is the color we call Charcoal. 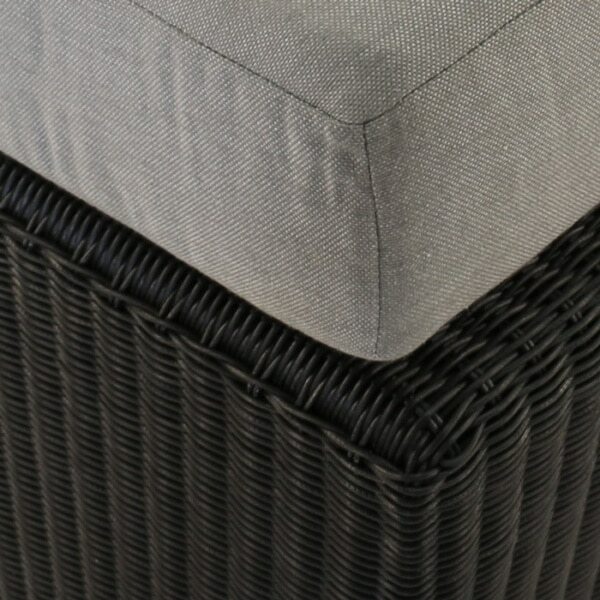 Cushions are included as shown. W27" x D32" x H29"